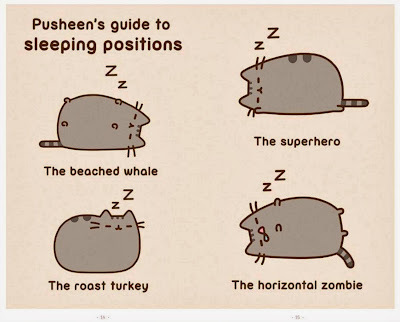 I have to confess that I wasn't familiar with Pusheen before I saw one of my friends reading this book on Goodreads. She mentioned that the book was available for reviewers on netgalley and after spending about half an hour browsing through the Pusheen the cat website I couldn't resist requesting a copy. 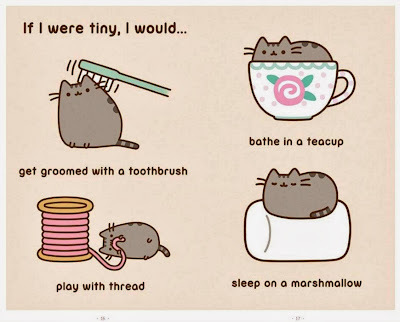 I am a sucker for cute cat pictures and videos, I have all of the Simon's Cat books and regularly flick through them when I need something to make me smile so after giggling my way through the most popular posts on the website I knew I'd enjoy this book too. I will say that this is the kind of book that I prefer to buy in print rather than in ebook. In my opinion the images never look as good on an ereader or computer screen and this is the style of book I like to be able to just pick up and open at a random page when I need something to brighten up my day. 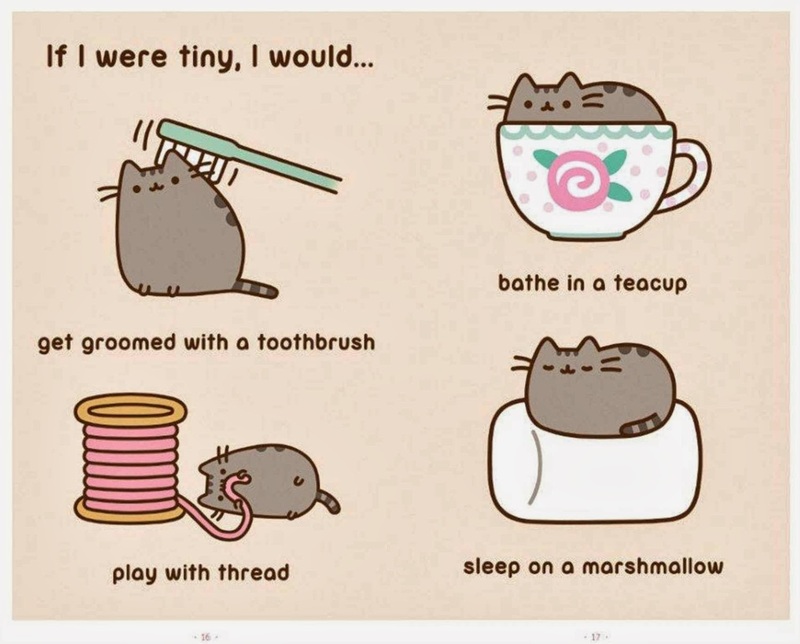 I'm pretty sure I'll be buying myself a print copy of this to add to my collection. I was slightly disappointed that so many of the cartoons were ones I had already come across though. I would say that the majority were ones I'd seen previously on the website and like I already said I've only visited the site once. I think people who have been following the site for years might find that even more disappointing than I did. 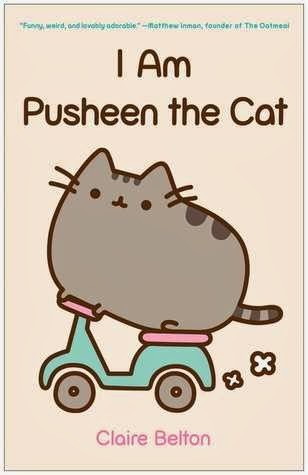 Having said that if you're new to Pusheen or a super fan of the cartoons then I'm sure the pictures will still make you smile. 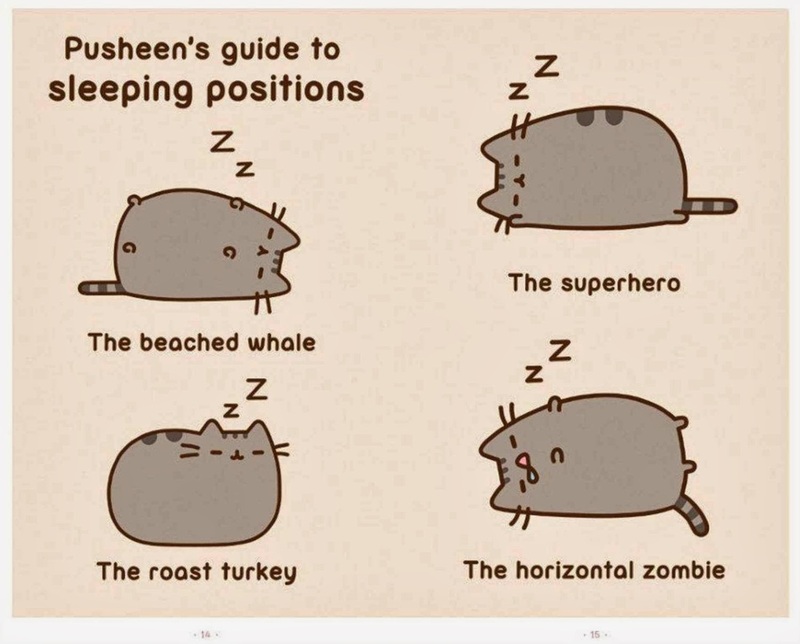 Pusheen is incredibly cute and reminded me a lot of my cats with her obsession with food and sleeping.